Arapati Beach Bach is a stylish and modern one-bedroom 2storey house with the bedroom featuring a super king size bed, futon couch, TV and DVD, ensuite bathroom, and walk-in wardrobe. The spacious bedroom’s bay-window faces the beach with a spectacular over-water view of the lagoon. Wake up every morning to the sun dancing on the waves, the sound of the water lapping on the shore and the welcoming cool sea breezes. The outdoor living area is a great place to relax with coffee on the sunken deck four piece lounge suite or blob out on the day bed in the sun. On the upper deck a 6-seater dining table makes for great fun dinner entertainment. Couple this with the outdoor kitchen feel with the servery opening into the upper deck dining area, and dinner prep becomes a fun part of the entertainment. 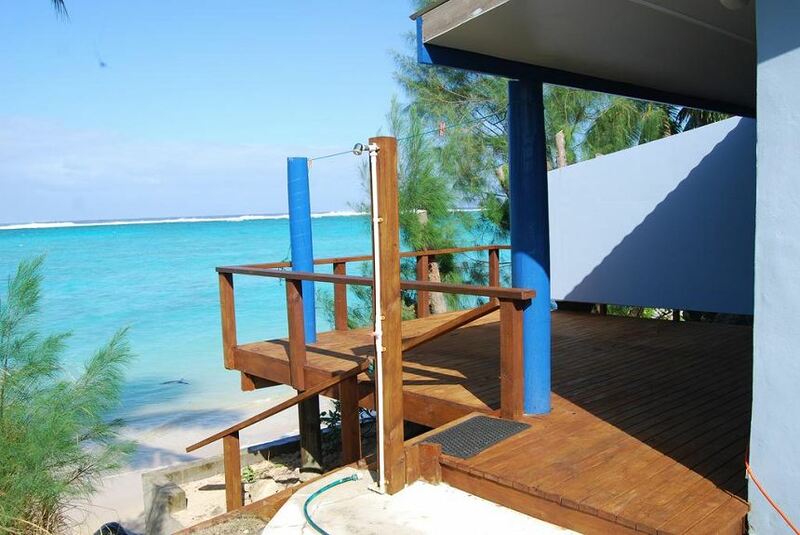 The kitchen window has fantastic mountain views, whilst the barbeque on the lower deck overlooks the lagoon and has sweeping views of the beach.